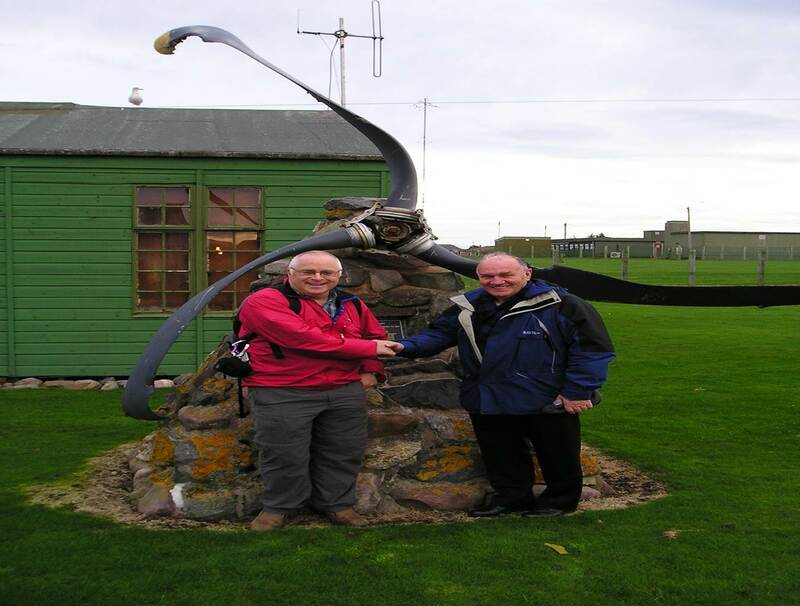 We follow in the footsteps of giants – RAF Lossiemouth Mrt are now based at RAF Lossiemouth at Last. “Lossiemouth MRT on the move. With the forthcoming disbandment of Military SAR Helicopters, RAF Lossiemouth MRT has moved from Kinloss Barracks to D Flt 202 Sqn Seaking’s hanger at RAF Lossiemouth. Whilst it is a pity to have to vacate the purpose-built accommodation located in a prominent position at Kinloss Barracks it makes sense to relocate to Lossie. Though the team is currently crammed into the engineers accommodation, in the words of OC SEAT (Works Team in old money) possession is 9/10ths of the law. If you don’t stamp your mark now someone else will take possession. Pity the team are on the far side of the station, however greater visibility around station will hopefully increase recruitment and teams dynamics on the station. The new Lossiemouth Team Base! Kinloss Barracks still has the Memorial from the Beinn Eighe Crash in 1951 it is one of the propellers when a Lancaster from RAF Kinloss crashed in Torridon on the wild West coast of Scotland. 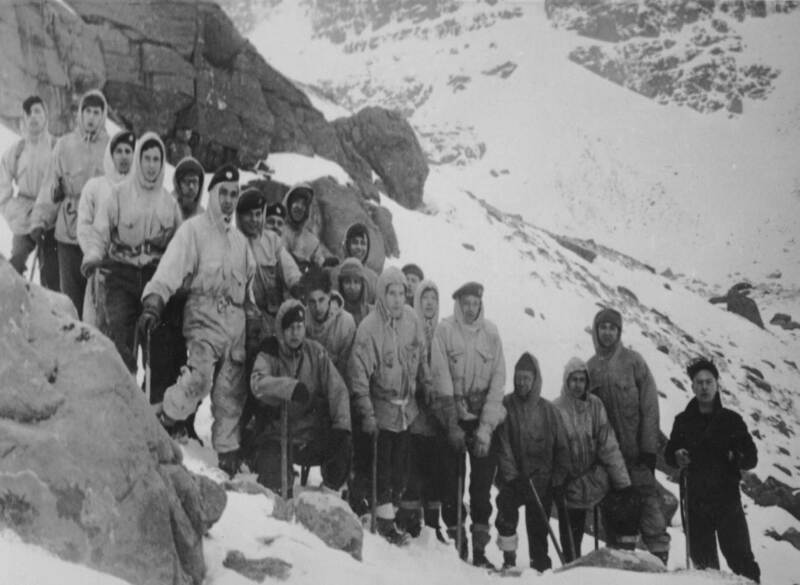 The repercussions of this tragedy changed Mountain Rescue in the RAF for ever and had huge benefits to the Civilian Mountain Rescue Community all over the UK. See my Blog on 2012 on Beinn Eighe and many other articles as this place is dear to me and many others. Team Training changed dramatically and a training manual was produced that was used as a Bible by all Mountain Rescue Teams in the UK for many years. One of the propellers was brought off the Mountain in a huge project by the Outdoor Activities Centre at Grantown on Spey and their instructors and students. The propeller was moved from the summit gully manually a huge task and transported by Seaking to RAF Kinloss in the early 80’s. This was a massive undertaking and the brain child of two instructors Tom Jones and Jim Morning. It was eventually placed outside the old Team Headquarters by Eric Hughes and remained there for many years 2004 until the new purpose-built centre or the Old Kinloss Team was built. The Memorial was moved again to the new HQ and I have it on good authority “Simon Moore” that it will move to RAF Lossiemouth to the new team HQ. Thanks Simon! 2006 – The new RAF Kinloss HQ and the Beinn Eighe Memorail at Dan Carrols leaving day. “The kit on the outside and the equipment may have changed. Willie MacRitchie – Ex RAF Lossiemouth MR Team Leader. 2013 Lossiemouth MRT on a huge callout last year. What ever happens the RAF MRT means so much to so many and changed so many lives who served within its ranks. Great people bound by a common bond and following in the footsteps of the giants from the early days. 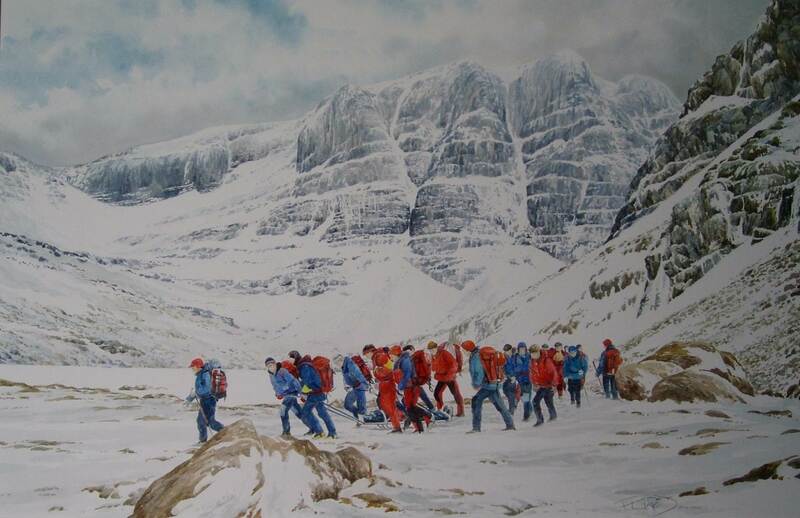 All the best Lossiemouth MRT have a safe winter. 2003 At the Old RAF Kinloss Section The late George Bruce My first Team Leader and a man who I still have huge respect for and a massive influence on my and many others life’s. 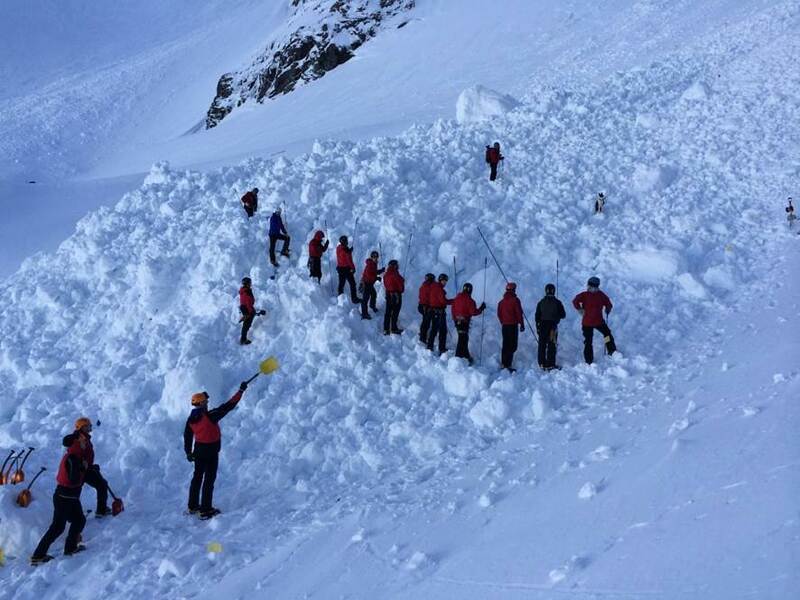 This entry was posted in Aircraft incidents, Friends, Gear, History, Local area and events to see, Mountain rescue, mountain safety, SAR, Views Mountaineering. Bookmark the permalink. 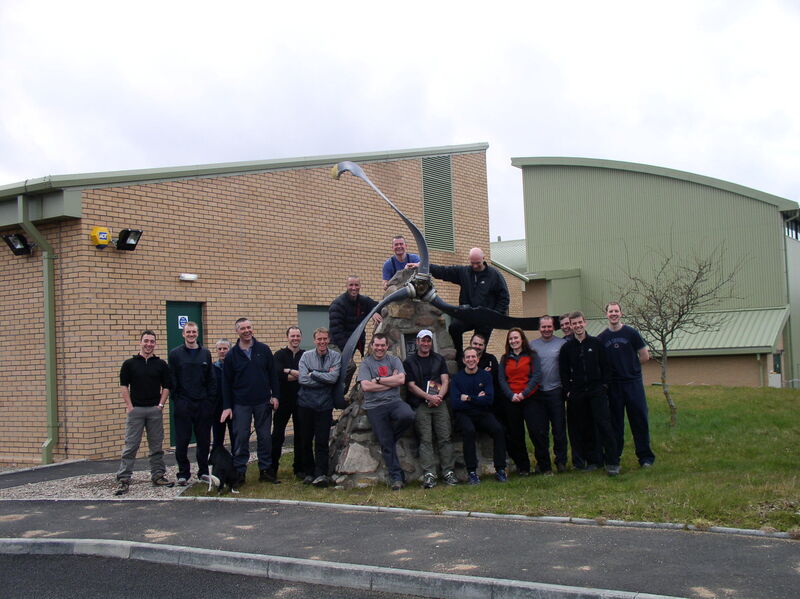 4 Responses to We follow in the footsteps of giants – RAF Lossiemouth Mrt are now based at RAF Lossiemouth at Last. Just a quick comment Heavy, I plan to visit the Team next week, I am hopeful that the Memorial will be moved, possibly by 39 Engineer Regiment. On a totally different subject, 39Egnr have shown interest in refurbishing Garbh Choire Refuge. There are however a number of stumbling blocks to be overcome. MACC (Military Aid to the Civilian Community) has a number of protocols to be met, plus Mar Lodge are to hold a consultation as to the future of the refuge, (retention or removal). The MBA have also shown interest in taking on the refuge, if approached by the NTS. Good stuff have you told Neil Reid?